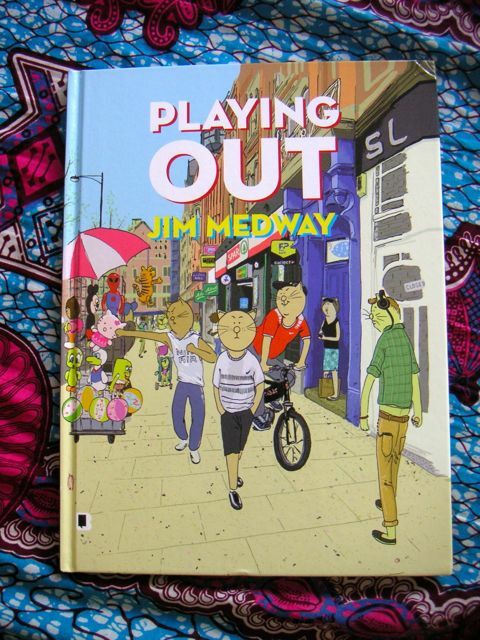 Hurrah Hurrah - Playing Out exists in the world now, or at least in the form of 20 advance copies. 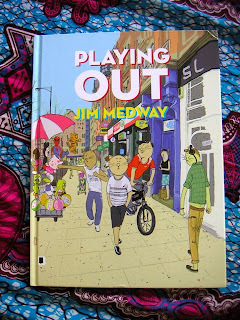 I'll be signing these copies for those that have £8.99 on them at this Saturday's ELCAF comic art event down in London. 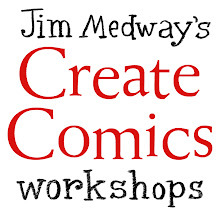 980 copies should follow soon with a release date of 1st August, I think, and shall be available all over the place, including Amazon, but wouldn't it be nice to support your local comic or book shop instead? I'm also planning to bring the original pages down with me to make available for purchase. I'm really chuffed with the great job Blank Slate have done with this - thanks chaps. Great paper stock, good solid hardback, and generally a gorgeous object. I need to pull my finger out and get a follow-up in progress. Also available on the Blank Slate table shall be a stack of new specially created Riso prints, mine featuring Connor wielding his Burger King cup cuffs. I think these are £10 or something like that, and I'll be signing them too. Should be a fun do. Looks great, Jim! I'll have to figure out international shipping so I can get my hands on a copy. Thanks Alec - I'll find out if it's going to be available in the US and when that might be.